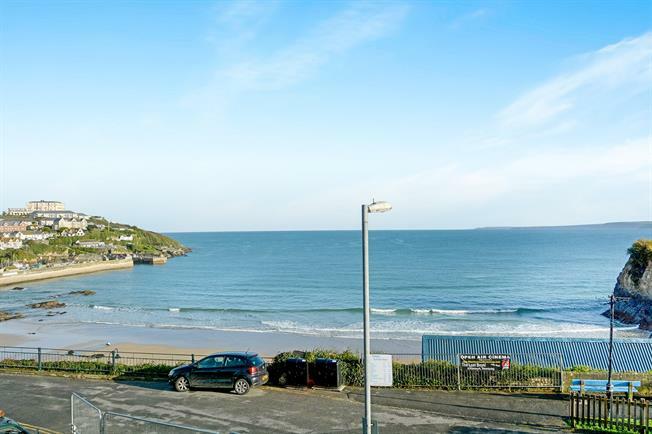 2 Bedroom Flat For Sale in Newquay for Asking Price £270,000. 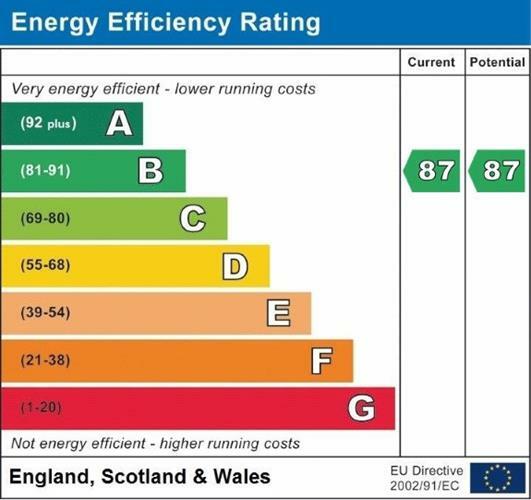 Panoramic sea views overlooking Towan beach and the sea, this first floor modern two double bedroom apartment with spacious lounge/dining room, kitchen, bathroom, en suite shower/cloakroom and reception hall has under floor central heating and uPVC double glazing. Outside there is an allocated level parking space and communal laundry. Viewing is strongly recommended - Chain free. Fantastic sea views over Towan beach, Island House, the harbour and Newquay bay beyond. Modern fitted white fronted kitchen units comprising two wall cupboards, three base units and one drawer, with roll top work surface, integrated refrigerator, freezer and dishwasher. Built in electric oven, four ring ceramic hob and extractor over. Single stainless steel sink and drainer. Space for washing machine. Extractor fan. Incorporating double shower cubicle, with glazed sliding door, low level WC. And wash hand basin. Extractor fan. Centrally heated ladder style towel rail. Tiled floor. Part tiled walls. Incorporating white suite comprising panelled bath with glazed shower screen over, low level WC. And wash hand basin. Part tiled walls. Tiled floor. Ladder style centrally heated towel rail. Extractor fan.